I don’t think I am an Origenist. I don’t think his protology survives Maximus’s deconstruction of it. But I do think it is wrong of “Trad Fundies” to bash Origen as a “heretic” when few of the greatest fathers of the church would have done that. This is from Christopher Beeley’s work on Gregory of Nazianzus. Gregory had a largely positive view of Origen. 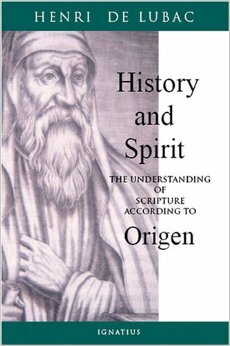 “From Origen Gregory learned the rudiments and the great heights of Christian theology, and he found in Origen a clear model of the spiritual and intellectual dimensions of his own life” (Beeley 7). “During the first years of his return to Cappadocia, Gregory’s formation in strongly Trinitarian, Origenist Christianity seems to have been largely completed” (10). “By habit, he would have continued to steep himself in the Bible and Origen” (16). Gregory structured his “Five Theological Orations” along the same loci as Origen’s De Principiis (39). “We may note that Gregory showed himself to be a more faithful disciple of Origen than either of his Cappadocian contemporaries” (75). “Gregory is led by the Alexandrians, above all Origen, in the adaptation of certain Platonist themes for his Christian program” (78). Adopts Origen’s dual hermeneutics (89). I’m aware of the 5th councils condemnations of Origen. I just don’t found them morally compelling. Especially as they would have condemned the Cappadocians for not condemning Origen–and the excuse that the former didn’t live during the 5th council and so are excused is both ad hoc and probably false. Justinian was nowhere near the theologian as Gregory. David W. has a very good summary of the issues.